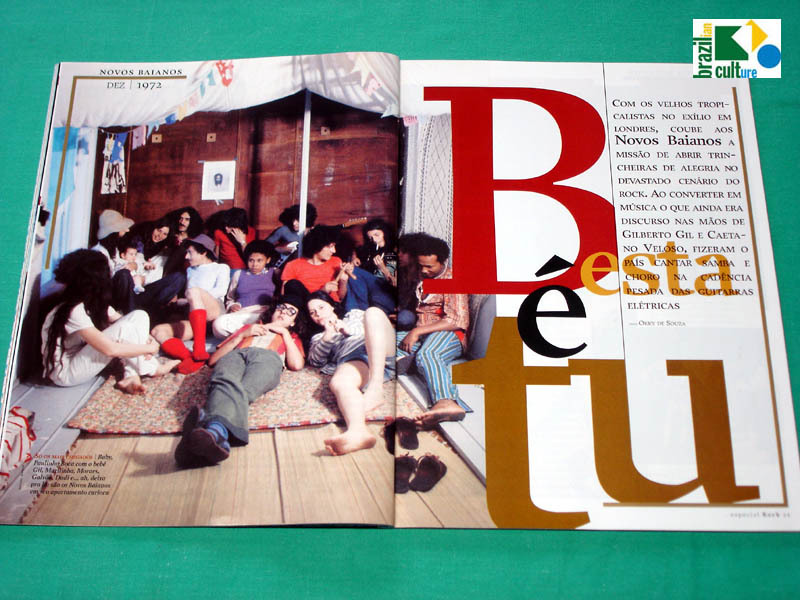 A really beautiful plenty of colored photographies Magazine! 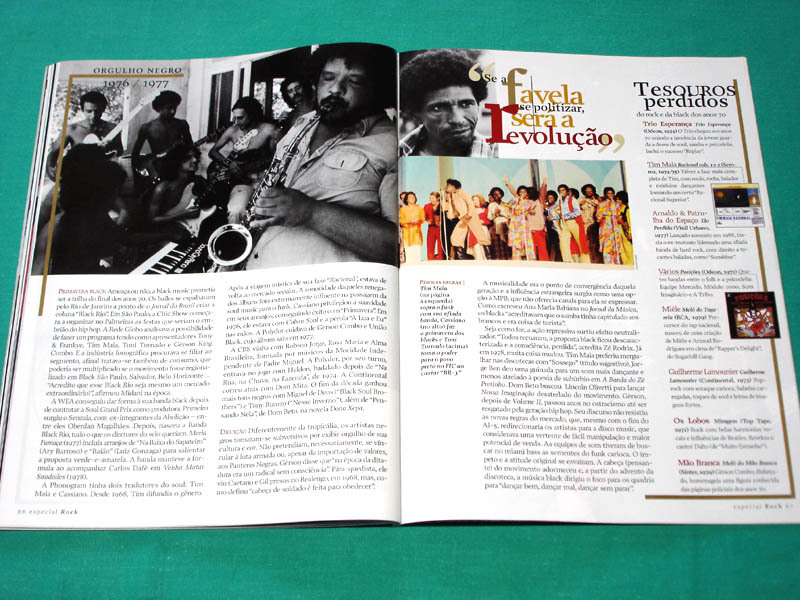 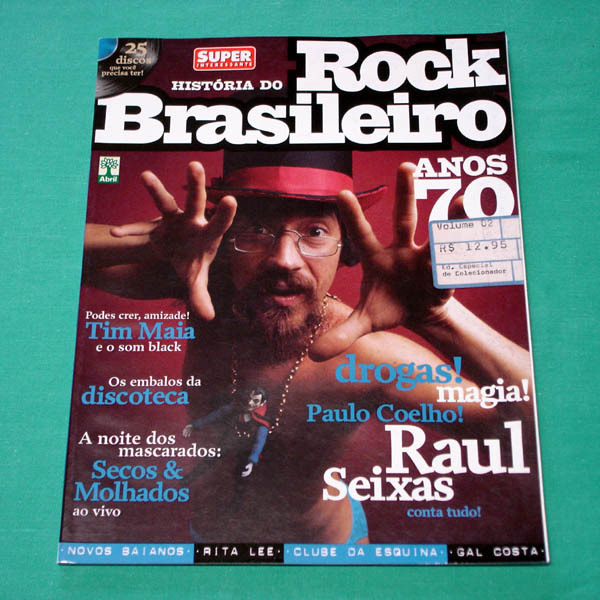 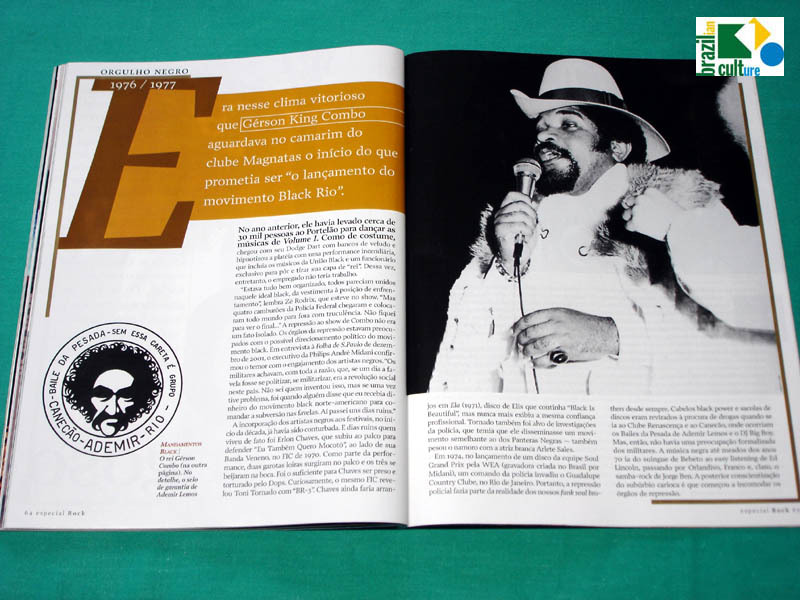 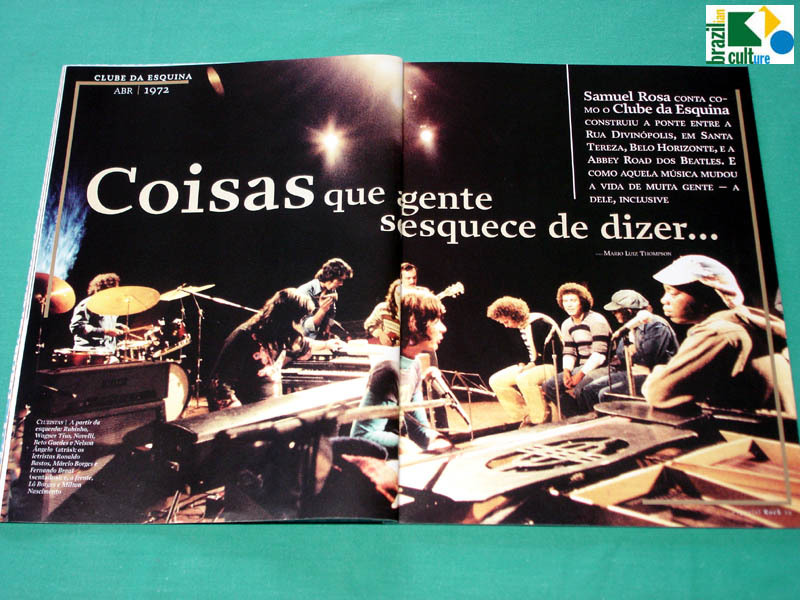 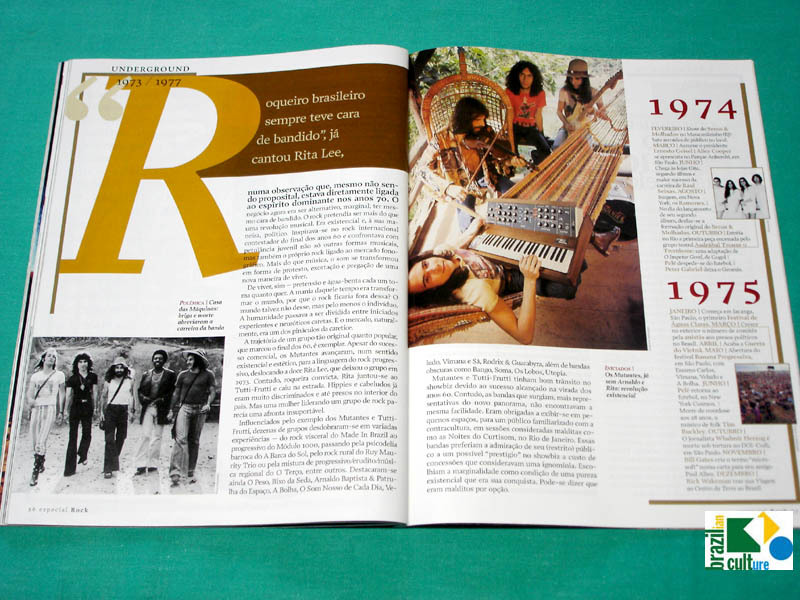 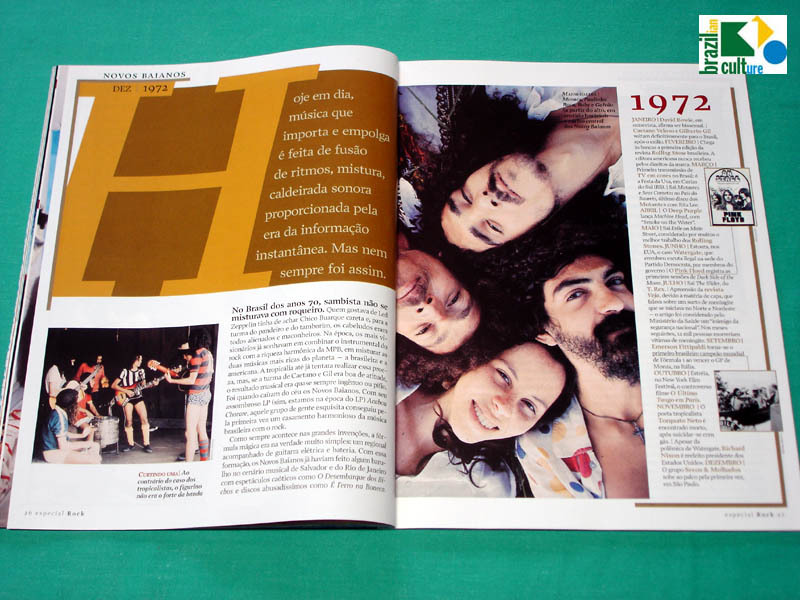 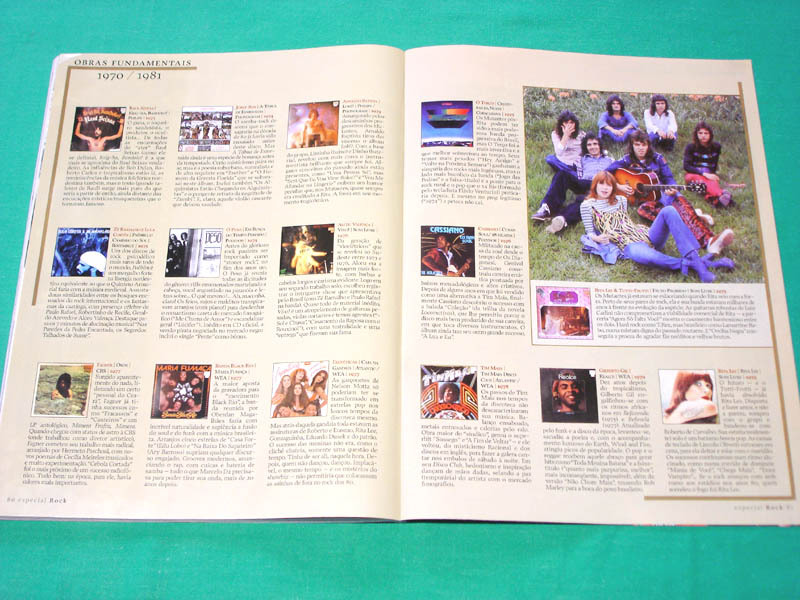 It covers the Brazilian Rock trajetory in the 70's (from 1970 to 1981). A must for Rock Brazil collectors! 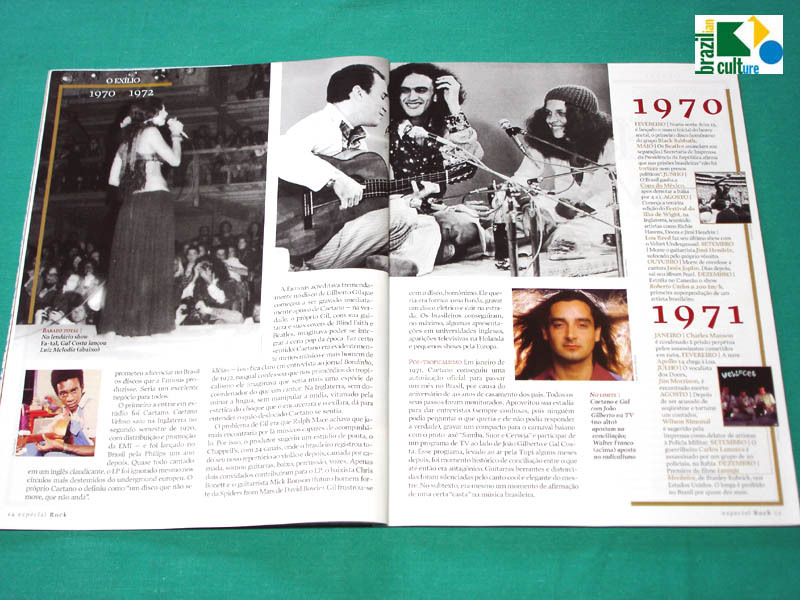 This beautiful 84-page magazine has about 130 pictures and ilustrations (most of them were never released!) 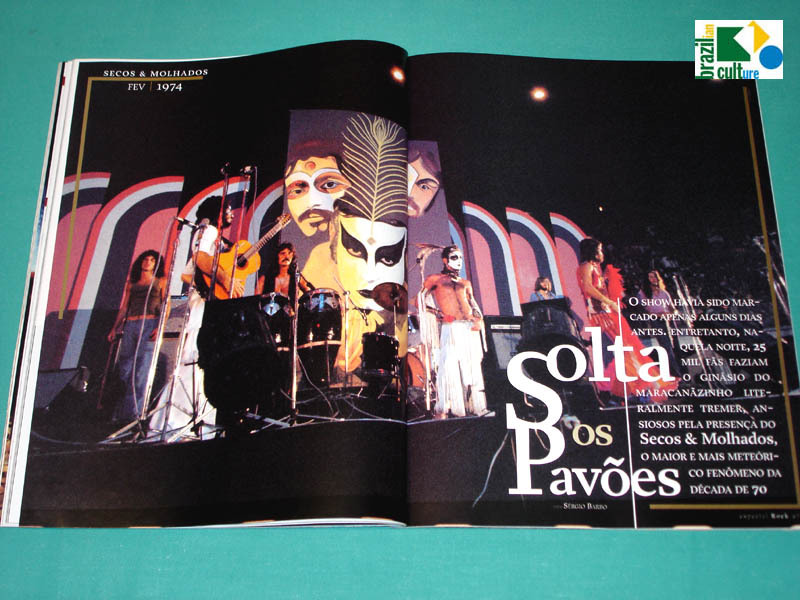 of the most prominent seventies Brazilian Rock / Glitter Rock / Progressive Rock / Psychedelic Rock / Soul / Funk / POP / Minas Scene musicians and Bands. 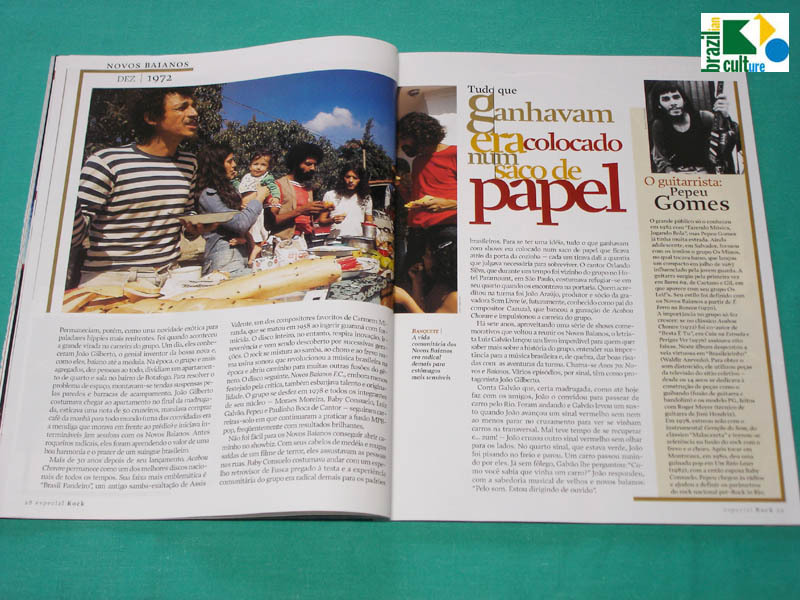 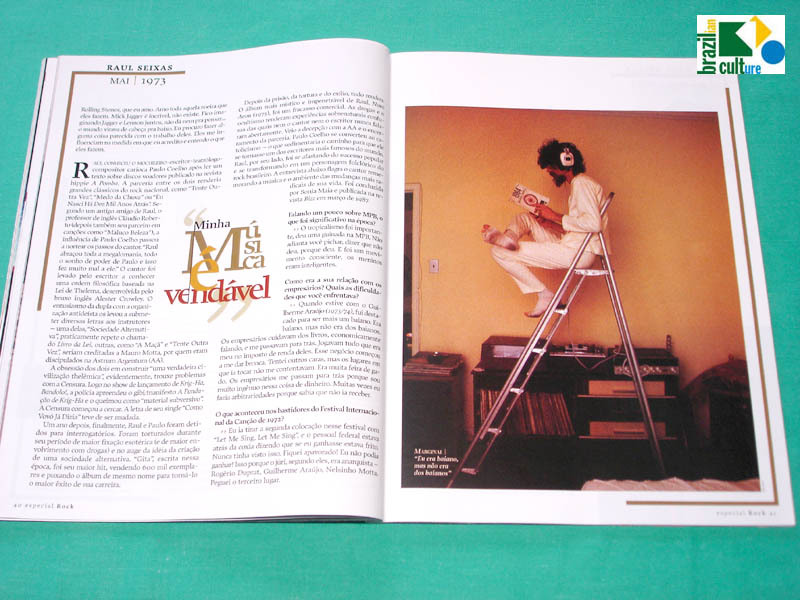 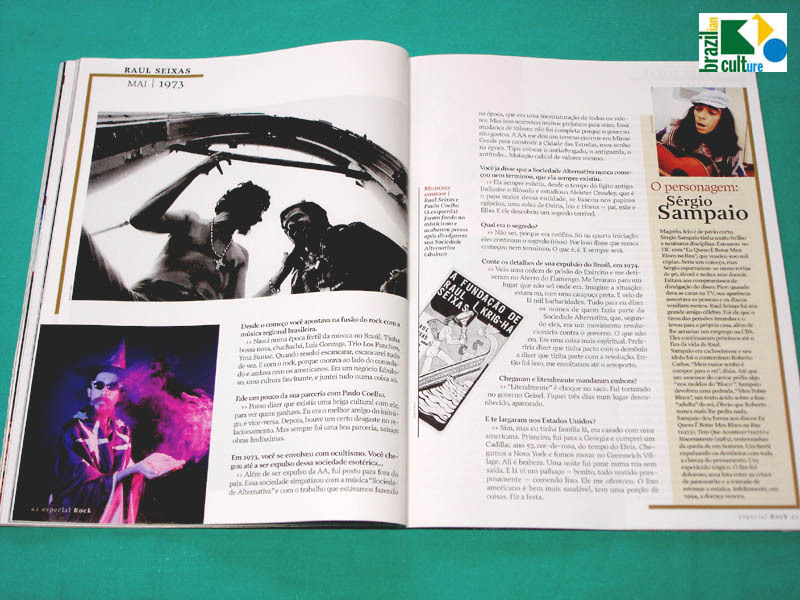 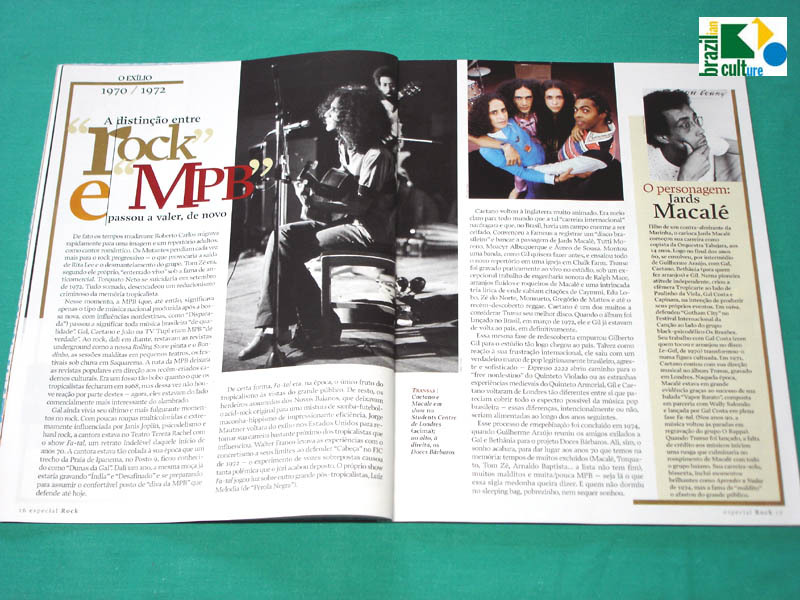 There are photos and texts (sorry, only in portuguese) about Gilberto Gil, Caetano Veloso, Gal Costa, Maria Bethânia, Walter Franco, Lanny Gordin, João Gilberto, Elis Regina, Paulo Diniz, Roberto Carlos, Milton Nascimento, Lô Borges, Beto Guedes, Nelson Angelo, Novelli, Wagner Tiso, Ronaldo Bastos, Márcio Borges, Fernando Brant, Som Imaginário, Sá, Rodrix & Guarabyra, Novos Baianos, Moraes Moreira, Baby Consuelo, Pepeu Gomes, Paulinho Boca de Cantor, Galvão, Bola, Dadi, Jorginho Gomes, Baixinho, Charles Negrita, Raimundo Fagner, Zé Ramalho, Alceu Valença, Geraldo Azevedo, Pessoal do Ceará, Tim Maia, Raul Seixas, Paulo Coelho, Sérgio Sampaio, Jards Macalé, Jorge Ben, Secos & Molhados, Ney Matogrosso, Edy Star, Casa das Máquinas, Mutantes, Rita Lee, Tutti-Frutti, Roberto de Carvalho, Luiz Sérgio Carlini, Made in Brazil, Peso, Bixo da Seda (Liverpool), O Terço, Luiz Melodia, Toni Tornado, Gerson King Combo, Ademir Lemos, Cassiano, Frenéticas, Lincoln Olivetti, Trio Ternura, Banda Black Rio, Erasmo Carlos, Arnaldo Baptista, Lula Cortes, and many other people that crossed Seventies Brazilian Rock's path! 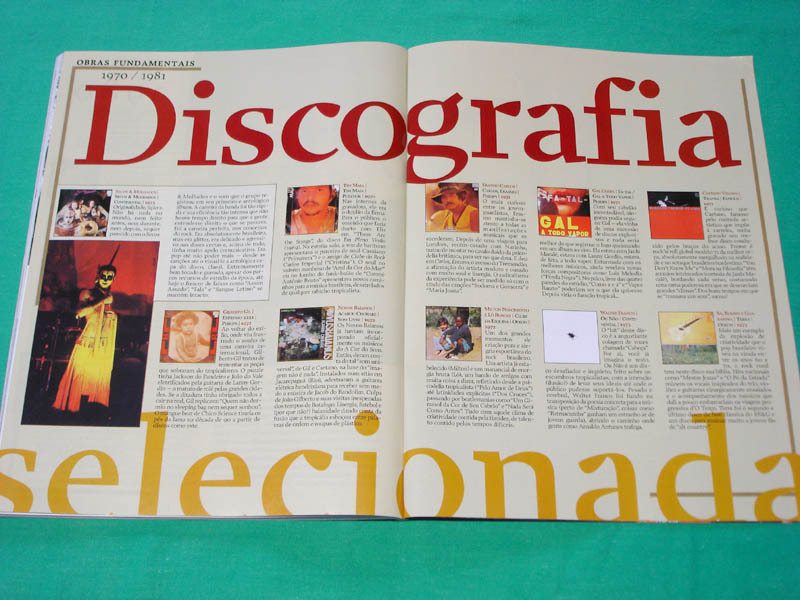 There are also texts (only in Portuguese) by Nelson Motta, Zuza Homem de Mello, Luiz Carlos Maciel, Okky de Souza, José Nêumanne, Samuel Rosa (from Skank), Sérgio Barbo, Fernando Rosa, Ricardo Alexandre, Luciano Marsaglia, among others.